In this tutorial you will learn an advanced technique to take better Battlefield 4 screenshots. Let’s be honest, first-person screenshots can be interesting in Battlefield 4, but have you ever wondered how you can take screenshots without the UI, how you can take third-person screenshots in Battlefield 4, or screenshots from any position in the game? 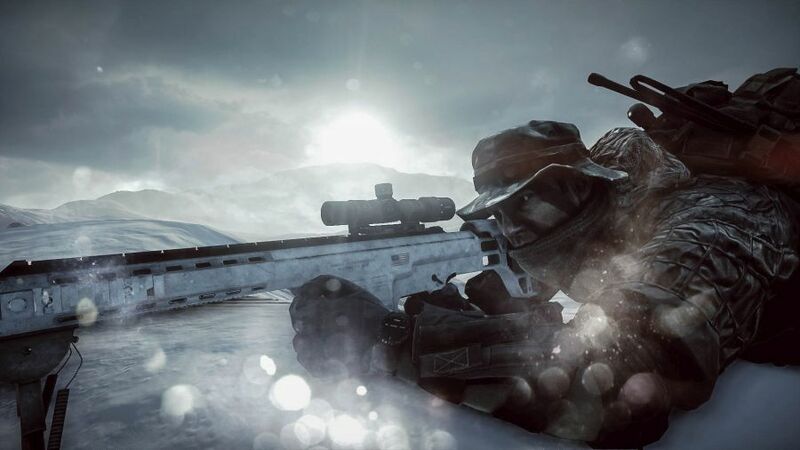 In this article I will give you a little bit of inspiration and ideas to take much more interesting screenshots in Battlefield 4. We won’t go too much in detail about the tools you can use to take screenshots in games like Battlefield 4, because I assume you know tools like Fraps, or any other screen capturing tool. Instead I will talk about some limitations of the standard game modes, and about a way to get more freedom to get the best screenshots. If we just join any server, we will have two limitations to get nice screenshots, the first limitation is that we can only take screenshots in first-person view, the second limitation is that we will see the user interface in our screenshots. Don’t worry, both of them are no real limitations, because there is a work around. 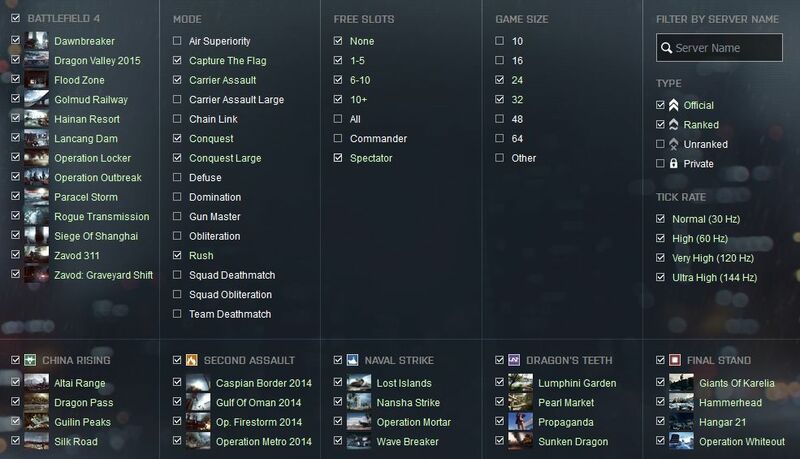 We need to know two things, Battlefield 4 has console commands that are very helpful, and there is a spectator mode. Let’s start with the spectator mode. This mode is as the name suggest there to allow you to take a look, you can basically watch others how they play, that’s all you are doing in this mode. This mode will remove some limitations that we otherwise would have if we would join a regular game mode to actively participate in the match. In the spectator mode we have a first-person camera and can watch all other players, but we also have a third-person camera, a tabletop view and a free camera. We simply have more ways to take a look at the game assets. Especially the third-person camera, and the free camera are interesting for us. The third-person camera allows us to take nice screenshots of the soldiers in the battle, and the free camera gives us as the name suggest absolute freedom, because we can fly through the whole map. As you can see in the two screenshots that I took in the “Battlelog” server browser, it’s possible to set filters that will allow us to only search for servers that have the spectator mode enabled. If we join one of these servers, it’s the first step to take better screenshots without the weapons that you would usually see in the first-person mode. The next limitation is obvious, we have the user interface (UI) in the game, and we really don’t want to have screenshots with an enabled UI. At least in the spectator mode there are some options if you press “V”, but this is not the best way to disable the interface. Instead we do something different once we joined a match as spectator. We need to know how to open the console in Battlefield 4, and once we did open the console, we gonna use a nice command to disable the user interface completely. Yes, now we have a perfect environment to take awesome screenshots, we are in a mode where we can freely roam around, to discover every single corner of map, and we have the user interface hidden. That is the absolute freedom to take pretty interesting screenshots in Battlefield 4. The only thing that I would suggest, is that you get used to the spectator mode before you disable the UI, because you need to get used to the keys and how you can fly through the map, or how you can select and watch different players. The interface in the spectator mode shows you most of the options, but you can also open the BF4 settings and take a look at the controls, especially the spectator controls. But it’s very basic, you can use “F1” to “F4” to access the different spectator modes that I mentioned, you can use all numbers on the keyboard to watch different players, and you can press “Q” and “E” to skip through them. If you are in the free camera mode, you can of course use the “WASD” keys to fly around. So much about the basic keys. I hope this guide was helpful, and I hope my article inspired you, or gave you another idea to take some cool Battlefield 4 screenshots. By the way, if you have a decent image editing software like Photoshop or Gimp, or maybe even the photo editing tool Lightroom, you can really improve your screenshots further. The in-game screenshot in this article is taken in the spectator mode of BF4, with disabled UI, and I edited it a bit with tools afterwards. Let me know in the comment section if this article was helpful for you!